There are a lot of strange things here on Molokai, but this has got to be right up there. Basically, you take a coconut and write on it – message, address and all. 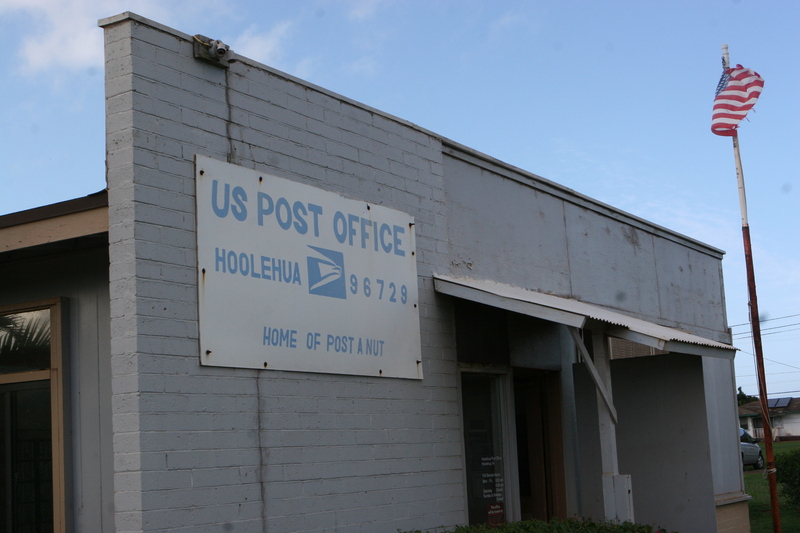 And this post office – and only this post office – will send it anywhere in the world. AS IS. No box or bag or anything, just the coconut traveling through the ether. On a recent Friday afternoon, I happened by said post office as it was about to close. At least a dozen people were standing in line waiting to ‘post -their – nut’. And there was probably another 50 or so coconuts behind the counter that were ready to go. And somehow I was the one getting funny looks for dropping off newspapers. Yes, I will send you a coconut. But only if you send me food.